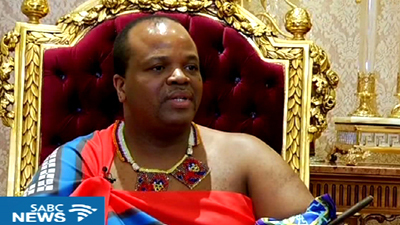 Swaziland denies purchase of luxury cars for King’s birthday - SABC News - Breaking news, special reports, world, business, sport coverage of all South African current events. Africa's news leader. Swaziland marks the King Mswati’s birthday and the 50th anniversary of Independence from Great Britain on 19 April 2018 in the so-called 50/50 Celebration. Swaziland’s Ministry of Public Works and Transport Principal Secretary Makhosini Mndawe has denied that the government bought a fleet of cars worth $7.5 million ahead of King Mswati III’s 50th birthday, Richard Rooney from Swazimedia.blogspot reported. But the independent Times Sunday reported the Ministry of Public Works and Transport had announced the Emalangeni 89 million ($7.5 million) purchase of the luxury BMW cars in a report tabled in parliament, said Rooney. This entry was posted on 10 Apr 2018,11:14AM at 11:14 AM and is filed under Africa, News, Homepage Latest Stories Slider. You can follow any responses to this entry through the RSS 2.0 feed. Both comments and pings are currently closed.